What IEC 61850 is, and what it is not? Substations designed in the past made use of protection and control schemes implemented with single-function, electromechanical or static devices and hard-wired relay logic. 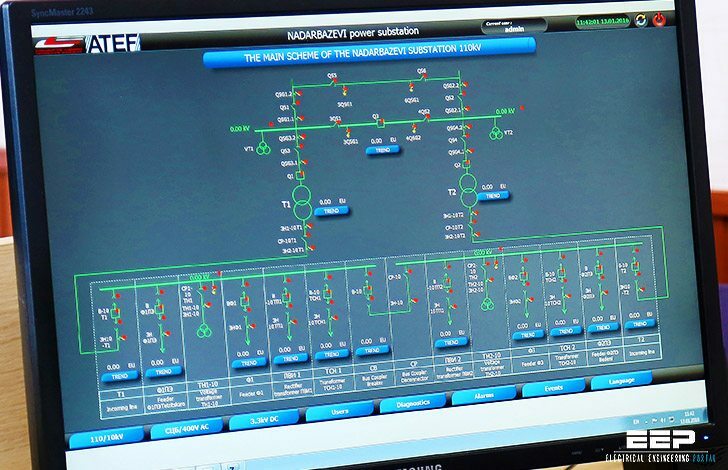 SCADA functions were centralized and limited to monitoring of circuit loadings, bus voltages, aggregated alarms, control of circuit breakers and tap changers, etc. Disturbance recording and sequence-of-event data if available was centralized and local to the substation. With the advent of microprocessor-based multi-function Intelligent Electronic Devices (IEDs) came the opportunity to move more functionality into fewer devices; resulting in simpler designs with reduced wiring. In addition, owing to communication capabilities of the IEDs more information could be made remotely available; translating into fewer visits to the substation. Microprocessor-based protection solutions have been successful because they offered substantial cost savings while fitting very well into pre-existing frameworks of relay application. A modern microprocessor-based IED replaces an entire panel of electro-mechanical relays with external wiring intact, and internal dc wiring replaced by integrated relay logic. Users retained total control over the degree of integration of various functions, while interoperability with the existing environment (instrument transformers, other relays, control switches, etc.) has been maintained using traditional hard-wired connections. Distributed functions are rare, and restricted mainly to the SCADA realm. In terms of SCADA integration, the first generation of such systems achieved moderate success especially in cases where the end-user could lock into a solution from a single vendor. Integrating systems made up of IEDs from multiple vendors invariably led to interoperability issues on the SCADA side. Integration solutions tended to be customized. The vision of 61850 is extremely broad. While starting with a next generation SCADA protocol, the concept encourages and facilitates advanced applications in protection and control, to the extent of blending in non-conventional CTs and VTs into the overall scheme by providing for a standardized way of exchanging information digitally between the producers and recipients of this information.